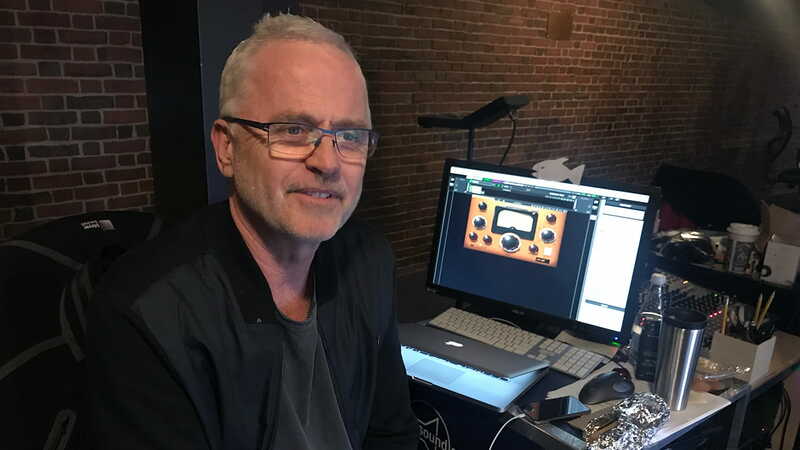 Top theater sound designer Jonathan Deans (Waitress, The Beatles LOVE) shares which plugins powered the sound design for the hit rock musical Jagged Little Pill, based on Alanis Morissette’s classic album. Lauren Patten as Jo and the company of American Repertory Theater's Jagged Little Pill. Photo: Evgenia Eliseeva. Jonathan Deans is one of the foremost sound designers working in live and venue productions today. 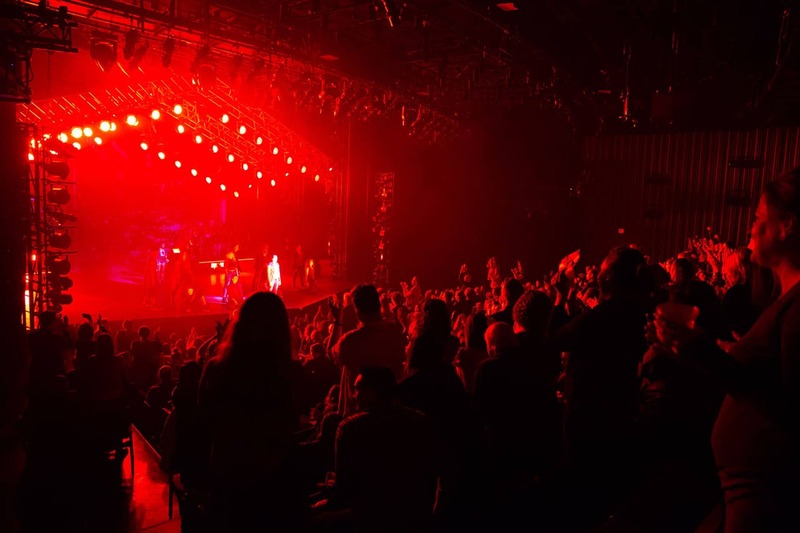 His system designs are used in the world’s most prestigious theaters, from Broadway to London’s West End, from Los Angeles to Las Vegas and Macau. His work has graced productions from Tempest and Finding Neverland to La Cage aux Folles, as well as many Cirque du Soleil productions, including Michael Jackson’s ONE and The Beatles LOVE – all in addition to world tours and large-scale work in entertainment venues, theme parks, and interactive soundscaped venues. 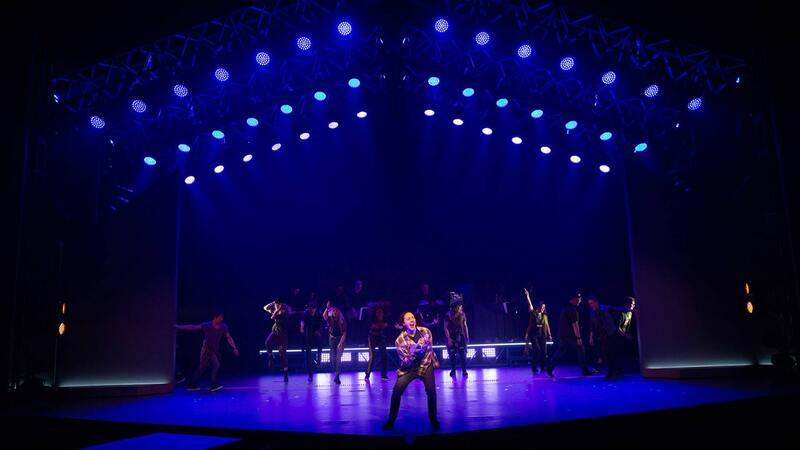 We caught up with Jonathan while he was working on the smash musical Jagged Little Pill, which debuted earlier this year at the American Repertory Theater (A.R.T.) at Harvard University in Cambridge, MA, with music and lyrics by Alanis Morissette and Glen Ballard and a book by Diablo Cody. Jonathan – for those who don’t know, what does being a theater sound designer actually entail? A theater sound designer is in charge of creating a system design for the production and theater, putting together a team of people, selecting equipment, locating and tuning the system, and collaborating with the director, music arranger/supervisor, fellow designers, musicians and actors to create a nightly sonic performance that would match the intention of the production. There are no challenges other than time, finance, human behavior, and being able to adapt to the daily desires of oneself and the collaborative team. Who else has been involved in the preparations for sound designing Jagged Little Pill? It’s been a truly collaborative experience over many months with the music team, director and all the creatives, and also with the American Repertory Theater, along with Sam Lerner, who heads the sound department at the A.R.T. Selecting the sound team is a major concern, and for Jagged Little Pill it proved to be a blessing. What goes into the preparation? 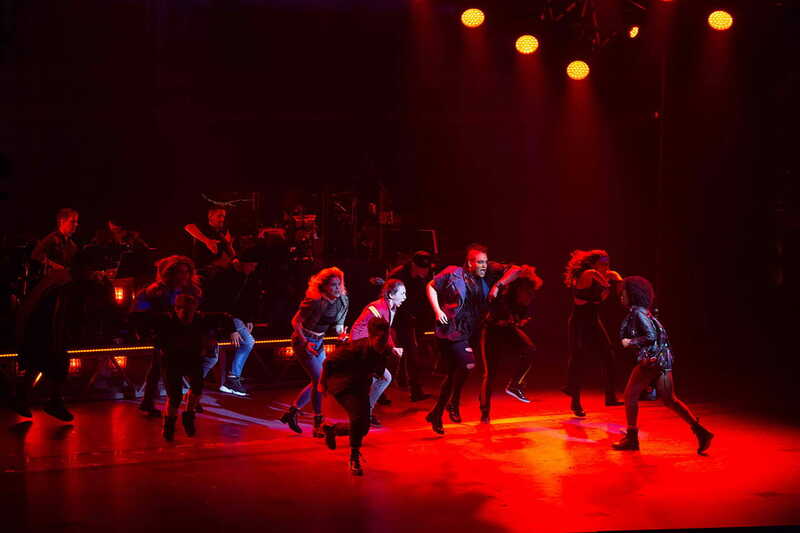 In the case of Jagged Little Pill, where there is a band on stage, only part of the band participates in the technical rehearsals; the rest join in the final week before the first performance. You need to have a team that understands the task at hand, with minimal room for mistakes or experiments. We must have our ideas, thoughts and systems ready to go. The sound team must be organized and experienced. Moving to some tech talk – what’s been your setup for this production? The overall setup includes Shure digital wireless for vocals, instruments and in-ears; DiGiCo SD10 for band monitors; a KLANG in-ear mixing system; DiGiCo SD7T as the front-of-house console; two Waves SoundGrid Extreme servers (one main, one backup); the Waves MultiRack software outboard host that lets us run plugins in real time during the show; Meyer D-Mitri interfacing with the DiGiCo console for matrixing and output spatialization; Meyer Galaxy speaker management; and a Meyer main and surround speaker system. 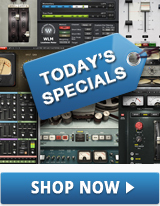 Which Waves plugins do you feel were indispensable for sound-designing this show? With Jagged Little Pill, we wanted to create a sonic experience. From early conversations with Tom Kitt, the orchestrator, music arranger and supervisor, it was clear that the intention is to deliver the sound as a full sonic experience, supporting the storyline. Depending on the style of music, plugins can help to create controllable and repeatable sonic images, to be layered into the mix by the front-of house mixing engineer. The H-Comp Hybrid Compressor is a great compressor for live theater: it’s bold, quick and easy to use. The S1 Stereo Imager, helps me create space within the proscenium speaker towers, and the C6 Multiband Compressor can vary from being a subtle treatment to a hard-handed multiband compressor. How do you handle the combination of dialogue and singing during the show? The difference of how a microphone and sound system works for actors’ dialogue and singing is significant depending on each performer, so I use the C6 Multiband Compressor followed by Waves DeEsser on certain vocalists. The DeEsser also solves issues created when actors are catching their breath, as well as for controlling sibilance. I also use the Waves Abbey Road Reverb Plates on the strings, because how can you not! Having worked on Cirque du Soleil’s The Beatles LOVE production and visiting the historic Abbey Road Studios, I was able to understand how and why the studio became such a legend. Beyond that, Renaissance Reverb is the main reverb that I use for drums and acoustic guitars. I am also doing parallel drum processing, which changes from song to song so that it will be relevant to the sound and story concept. The Waves SoundGrid servers allow me the processing power to do all of this. Waves’ technical support team have also been great at responding quickly to questions from our sound team, which is an important service when working on live productions! Without plugins, it would be quite a different show. I would not have been able to achieve the tonality required for the performances, with the goal of creating a sonic experience fitting for an audience of all generations. Plus, using this setup has enabled me to respect and stay true to Alanis Morrissette’s music, her overall wishes, and the expectation of the fans – including me! Learn more about mixing musical theater: 7 sound design tips for theater with Frozen’s Peter Hylenski.